So I finally got the engine pulled last night, and have been tearing it down this afternoon. So far, I've run into two weird things. It looks as though the jackass responsible for installing the AC bracket had checked out in Toledo, and installed one of the bracket bolts backwards... And then pressed in the mechanical fan hub. Given that the hub is only press-fit, and I seriously doubt I can rebuild it properly, I'm probably just going to cut the bolt and source one from a local junkyard (unless someone has one laying around, which I'd happily buy). Anyone else run into this on their XJ? After pulling the head, I found that the gasket did not have holes for the coolant passages, save for the two at the very end of the block. 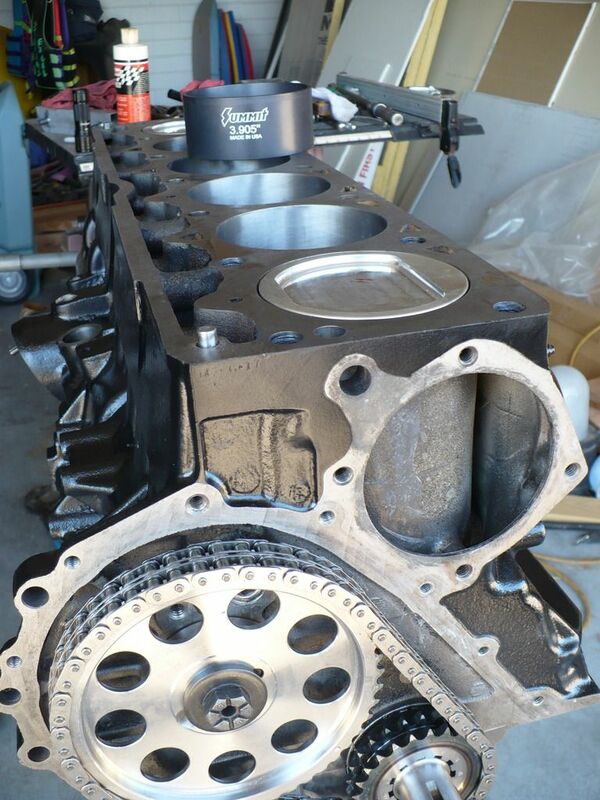 Looking at photos on the interweb, it seems like this is frighteningly common with 4.0 head gaskets. Should this be the case? Seems bizarre to cripple the cooling of the head like that. I'll keep posting updates as I move along, but figured I'd kick this off to see if my experiences are unusual thus far. Found more info on the coolant passages. Not even the Mopar gasket has holes except for at the rear of the head. Apparently it's intentional/by design. ...And upon removing the only other remaining bolt from the AC compressor bracket, it swung down and cleared the bolt. Ignore me. I need to learn to just keep moving forward rather than overthinking everything. Up next - timing chain. Should there be this much play? And any ideas what that little black fragment is in the video below? Well, you figured out the bolt 'Issue' before I could answer in, so thats that. All that stuff has to come out anyway, just make a list of what you took apart and in what order. I rebuilt my 4 liter recently, and questioned to myself the same thing about the head gasket coolant holes. The stock gasket didnt have cutouts on both ends, and neither did three other brands that I physically looked at, so its designed that way. The black bits of plastic under the timing cover are from the plastic tensioner that slides into the two grooves on the cover, it helps to keep the chain from bouncing around during engine speed transitions. The tensioner is usually cracked up under there, they used a lousy material for it. I used a good replacement timing set, and the tensioner was made of a durable rubber, felt much better and fit well on the cover. As you go through this job, look at other system components and determine if this is the time to replace things since everything is apart. Almost all of my stuff was original, and at 220,000 miles, was definitely showing signs of wear. Consider any available upgrades to original components as well, especially the cooling system, every little bit helps. Any questions, let me know. Yeah that TC is wasted! The best I've seen is the Roll-Master, but they do not make one for the 1999-2001. If you are planning to upgrade the camshaft then you can do the conversion. The cam/gear change was in 99. The 98-older uses a "pin/spring" to control end-play. The 99-up uses a "thrust plate"
Hey RCP - can you provide details on the parts needed for the conversion? I'm finally back on this build following some medical issues and am ordering parts over the next couple days. Thanks in advance man! 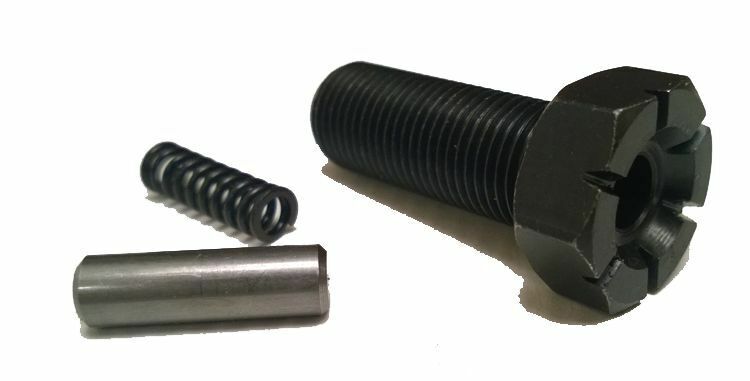 You need a early cam and gear set(-98) , and cam bolt, washer, and plunger/spring. Gotcha - found the bolt and pin setup. Which timing set is it? CS7100? Oh yeah, and is the washer shared with the later setups? Can't find a part number for it. That number is correct for a Rollmaster! When I talked with Russ last year he said the washers are hard to find. I sent him a bunch I ordered thru McMaster! Got the McMaster part number handy? I feel bad bugging Russ since I'm doing a homebrew mini-stroker rather than one of his beautiful setups. All times are GMT -7. The time now is 14:58.